Each day this week so far, Apple took the wraps off something fresh. 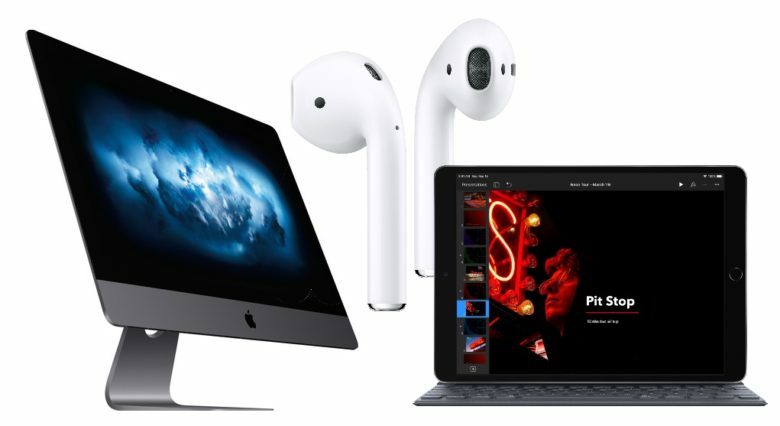 Monday brought iPad Air 3 and iPad mini 5, while Tuesday saw updated iMac and iMac Pro options, followed by today’s AirPods 2 announcement. A smaller company would have combined these into one big announcement in hopes that they would attract some press attention. But there are good reasons why Apple didn’t do it this way. Realistically speaking, none of the products unveiled so far this week are barn-burners. Each of them is a welcome upgrade to an older product, but they can’t compare to the excitement that comes with launching a redesigned iPhone, iPad or Mac. But Apple doesn’t need to merge them into one announcement to draw attention to them. Almost anything Cupertino does attracts the gaze of media big and small. In fact, Apple actually has the opposite problem of the one smaller companies face. People have high expectations for Apple, and these grow even more stratospheric when press from around the world are invited to an announcement. If CEO Tim Cook and his colleagues had taken to a stage to unveil faster versions of devices introduced years ago, with no other changes, these expectations would have been dashed. Heading off that disappoint was smart. Very smart. As it is, people can judge the updates on their own merits, not whether they lived up to everyone’s hopes and dreams. Apple could have lumped the updated versions of its tablets, desktops and wireless earbuds into one press release on Monday, as a smaller company would have done. Instead, it spread them out through this week. It takes a company with the cachet of Apple to pull off something like this: For Cupertino, announcing even moderately updated products is enough to make headlines. And by spreading them out, Apple got the media to spend a whole day talking about each one. (That includes Cult of Mac, of course.) This gives potential buyers time to actually notice that improved iMac models are in the offing, instead of these being lost behind the inevitable hoopla surrounding refreshed iPads or AirPods. And there’s a secondary benefit: anticipation for what’s coming next. No one expected Monday’s announcement, and Tuesday’s was almost equally surprising. But by yesterday afternoon people were predicting what would be on the docket today. And now there’s even more excitement about tomorrow. Twitter is abuzz with it. What will we see on Thursday and Friday? The most likely choices are the iPod touch 7 and AirPower, not necessarily in that order. Both these products are mentioned in iOS 12.2, and have been the subject of numerous rumors. Check back tomorrow and Friday to see. And don’t forget this is all building to an actual press event next Monday, when we’ll find out if the Apple TV streaming service lives up to everyone’s very high expectations.